Angina pectoris (or simply angina) is chest pain or discomfort that keeps coming back. It happens when some part of your heart doesn't get enough blood and oxygen. Angina can be a symptom of coronary artery disease (CAD). For some, exercise, and other things, cause asthma symptoms. For others, asthma symptoms only happen with exercise or physical activity. In either case, the term to describe the condition is exercise-induced bronchoconstriction or EIB. (It used to be called exercise-induced asthma.) It means that exercise causes the airways or bronchi to narrow or constrict. Pneumonia is an infection of one or both of the lungs caused by bacteria, viruses, fungi, or chemical irritants. It is a serious infection or inflammation in which the air sacs fill with pus and other liquid. Dr. Okelo is interested in developing, testing, and implementing strategies to improve the quality of asthma care for children. Validation of Parental Reports of Asthma Trajectory, Burden and Risk Using the Pediatric Asthma Control and Communication Instrument Okelo SO, Eakin MN, Riekert KA, Teodoro A, Bilderback AL, Thompson D, Loiaiza-Martinez A, Rand CS, Diette GB, Patino CM. Journal of Allergy and Clinical Immunology: In Practice J Allergy Clin Immunol Pract. 2014 Mar-Apr;2(2):186-192.e7. Pediatricians' perceptions of family socioeconomic status in asthma care SB Johnson, BJ Gordon, JM. Jennings, MH. Bair-Merritt, NE. Adler, SO Okelo. Pediatr Allergy Immunol Pulmonol. 2014 Sep 1;27(3):120-125. Asthma identification and Medication Administration Forms in New York City Schools Reznik M, Bauman LJ, Okelo SO, Halterman JS. Ann Allergy Asthma Immunol. 2015 Jan;114(1):67-68.e1. Racial Disparities in Asthma Morbidity Among Pediatric Patients Seeking Asthma Specialist Care. SJ Mitchell, AL Bilderback, SO Okelo. Acad Pediatr. 2015 Aug 29. pii: S1876-2859. 2009 – 2011 National Institutes of Health Loan Repayment Award, recipient. 2001 – 2004 National Institutes of Health Loan Repayment Award, recipient. 2011 Reducing Asthma Morbidity in High Risk Minority Preschool Children, NHLBI, $560,510. The purpose of this study is to test the effectiveness of a home-based asthma education intervention with demonstrated efficacy, when delivered in the context of a Head Start–wide asthma education program. 2011 Standardization of Videofluoroscopic Swallow Studies for Bottled-fed Children, NIDCD, $278,706. The purpose of this project is to test a new standardize method of translating the x-ray findings into meaningful clinical information that improves the accuracy of swallowing diagnosis and guides swallowing treatment. 2008 K23 Career Development Award, Development of a Pediatric Asthma Control and Communication Instrument, NHLBI, Principal Investigator, $662,258, 2008 - 2013. The purpose of this study is to develop and validate an asthma decision-support Tool designed to improve communication with parents of high-risk children with asthma. 2007 Thrasher Research Fund, The role of human metapneumovirus (hMPV) infection in asthmatic exacerbations in pediatric patients, 2007 – 2009. The purpose of this case-control study is to compare children with asthma exacerbations with a group of age-matched control asthmatic children with signs and symptoms of upper respiratory infection in the absence of wheezing in order to determine the role of hMPV in pediatric asthma exacerbations. 2006 Minority Investigator Research Supplement, Improving Asthma Care for Minority Children in Head Start, NHLBI, 2006 – 2008. 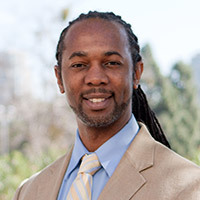 The purpose of this study is to survey pediatricians to assess how their attitudes towards interventions designed to improve shared decision-making among low income inner-city parents of minority children with asthma. 2002 Minority Postdoctoral Supplement, NIEHS, 2002 – 2003. The purpose of this study is to evaluate racial differences in coronary artery disease and treatment recommendations in a Veterans Administration patient population.